Bacteria are everywhere. 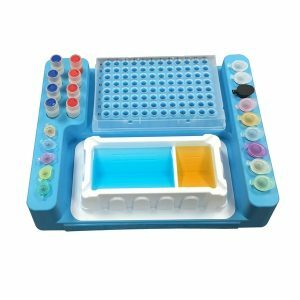 With this Bacteria Experiment Kit you can test what stuff are cleaner than others, what are the bacteria kill efficiency among different hand sanitizers and antibiotic pills, does the UV in the sunlight kill bacteria? How pH of water, fruit juices or temperature affects bacterial growth? How dirt of your laptop keyboard, smartphone screen? How clean of your tongue or teeth before and after toothbrush? Or there will be more bacteria in your mouth after overnight sleep? You also can compare how clean it is of the drink water from your school water fountain and the water from your refrigerator. Or whatever tests you can imagine with this kit. Get an adult to help you with your project. Be very careful with boiling water and hot surfaces. Wash your hands each time you handle your experiment. Do not eat or drink anything while you are handling your cultures. Whatever tests you want to do you have to make several petri dishes first. Sterile Water: Boil 500ml tap or refrigerator filtered water in a clean stainless steel pot, let it cool down to room temperature. This step will kill any bacteria in the water. Or, the easier way is to buy distilled water from Walmart, Walgreen’s, CVS or other grocery stores. $0.99 for one gallon jar. You also can use bottled water. We have tested that there is almost no bacteria in it. Don’t think the refrigerator filtered water is clean. There are many different types of bacteria in it. You can use this kit to test it whether your daily drinking fridge water is clean or not. 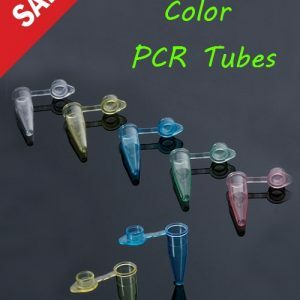 Dump all the nutrient agar in the bag (included in the kit) into a glass beaker or a kitchen stainless steel pot, and use the included sterile 50ml tube to measure the 250ml (8.5 FL OZ) sterile water from Step 1. Mix well with a sterile (boiled) glass bar/rod or a sterile (boiled) steel spoon. Slowly heat the beaker or the pot to melt the nutrient agar. When the nutrient agar starts boil, turn down or turn off the heater, and slowly stir the liquid nutrient agar. Slowly boil the liquid until it become clear. Once the liquid becomes transparent clear (no visible agar particles) stop heating. Be patient it will become clear eventually. Let the boiled liquid agar cool down a little bit (around 75oC or 167oF), wear mittens and slowly pour the hot agar into the petri dishes (20 ml for 90mmx15mm dishes, or less). Tip: Pour liquid agar just cover the bottom of petri dish. This liquid amount is around 20ml. Put the lid back to the petri dish and let it stand at room temperature for at least two hours to wait it become solid. The petri dish with solid nutrient agar is called “LB Plate”. 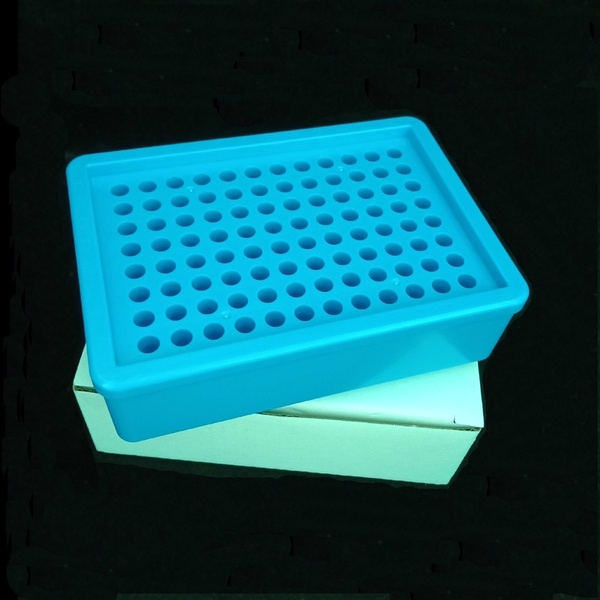 Once the nutrient agar becomes solid in the petri dish, the LB plate is ready for your experiments. If you don’t use it right away. You can wrap the LB plates with food service film and store the LB plates in upside down position at refrigerator (4oC). Note: the nutrient agar contains very rich nutrients. Don’t open the lid too often. Bacteria in the air can drop on the nutrient LB agar plate and grow. The unwanted bacteria growing on your plates is called contamination which is not what you want. Use steam sterilized cotton swabs to collect bacteria from whatever you are interested in, touch the swabs containing bacteria on the agar surface gently by draw a “zigzag” pattern. Then put the petri dishes upside down and incubate in dark for several days (3 to 7 days depends the incubation temperature. 37oC (100° F) is the best temperature for most bacteria growth). 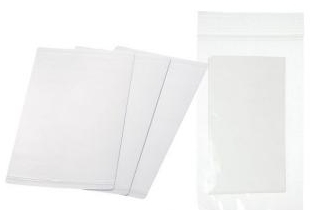 Note: If you want to put the LB plates near heat radiator (winter time) please make sure put LB plates in a ziplock bag to prevent nutrient agar dry. You can use microwave to heat the liquid agar mix, but you have to swirl it slowly after 5 to 10 seconds heating to avoid agar blows out. Very hot, always wear protective oven gloves/mittens. Most of the case, there is evaporated water on the lid. Let petri dish stay overnight most of the water will be gone. If you are in Arizona, Colorado and other States have dry weather keep these evaporated water on the lid can help bacteria grow since it will provide moisture for the bacteria. If you have more than 10 interested surfaces you can draw a “+” on the bottom of the petri dish (agar side, not the lid). Thus you can test 4 samples on each petri dish. If interested surface is dry, wet cotton swab with sterile water to collect bacteria. 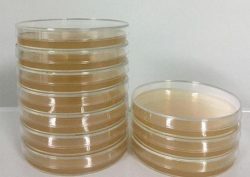 Put the petri dish LB plates upside down to culture your bacteria. 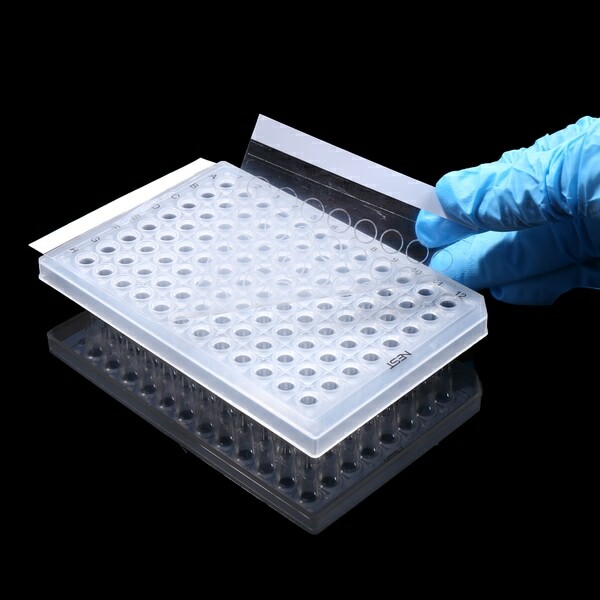 This trick will prevent any excess condensed water droplets from spreading your samples over the agar. This spreading of the sample could give you inaccurate results if you are using the size of the colonies as a measure of how fast your samples are growing, or contaminate your nutrient agar. 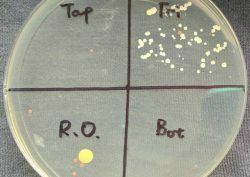 Before disposing of LB plates in the trash the bacteria should be destroyed. Pour a small amount of household bleach over the colonies while holding the dish over sink. Caution – do not allow bleach to touch your skin, eyes or clothes. It will burn! Hints: you can collect bacteria from shopping carts handles, uncooked meats, shoes, TV remote controls, laptop keyboards, noses, tongues before and after brushing, pets’ tongues, car control wheels, key chains, compare tap water with and without exposing to sunlight (UV bacteria killing effect), test how much antibiotics (1/4, 1/3, 1/2 or 1 whole pill from Walmart, Walgreens, etc pharmacy) can kill the bacteria collected from your tongue. Or compare the killing efficiency of antibiotics if you are able to find different antibiotics. Check if there are bacteria in the water from school water foundation, and compare it with those from household tap water and filtered refrigerated water. etc. Good luck with your projects. The following links may be helpful for your projects.